Snapchat users who love to slap a geofilter on top of their photos can now create their very own, beginning at just $5 apiece. 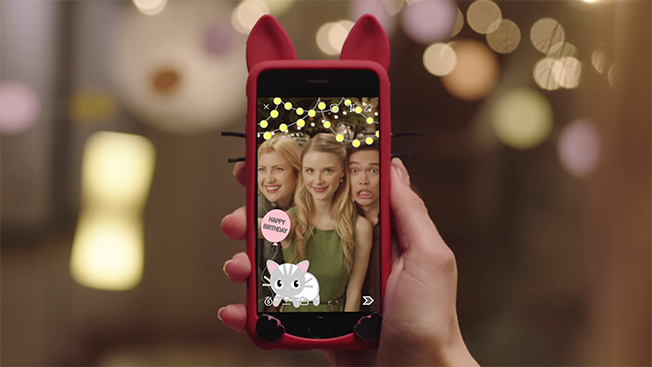 On-demand geofilters, which Snapchat rolled out today, will allow users to customize filters for everything from birthday parties to weddings to concerts and more. The announcement marks yet another revenue stream for the brand, with a number of factors determining how much the filter will cost. While the initial cost is $5, a number of factors affect the price, including duration—anywhere between an hour and 30 days—and the size of the geofence, or the area where the filter will be available for people to use. Prior to this announcement, the company only allowed users to overlay their photos with filters paid for by brands (also called sponsored geofilters) or ones that were specific to their location (community geofilters). The new personalized filters are available in the U.S., U.K. and Canada and will spread to additional locations soon.